Want Better Looking Skin for Just R24.99? Here's Your Answer. Want Better Looking Skin for Just R24.99? Here’s Your Answer. Hello familia, it’s your girl Laurina again. I am back to full force blogging now and I am so excited for the content I have lined up for you. I have been meaning to do beauty product reviews for the longest of times and boy am I stoked about this review. 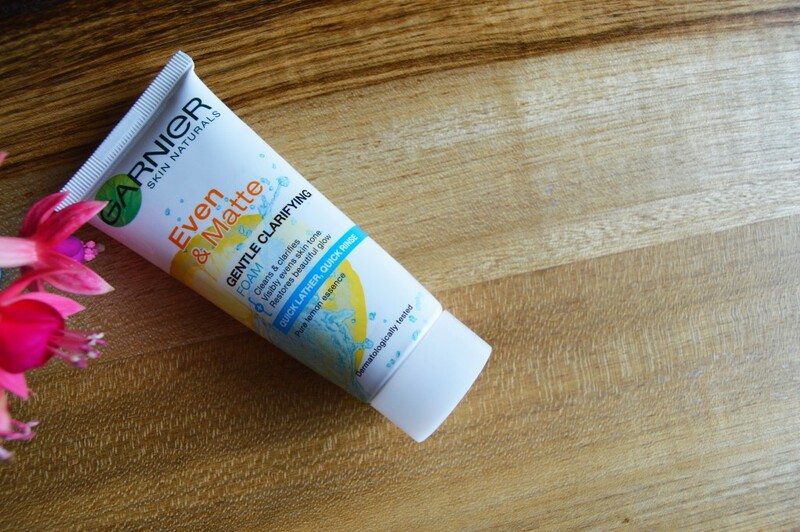 I stumbled upon Garnier Even and Matte Gentle Clarifying Foam for oily skin after I had taken a young stroll around my neighbourhood and got a lot of skin damage from being out and about in the sun all day (a day long stroll, I have my moments lol). Considering I wasn’t planning on buying a beauty product that would solve my out-of-the-blue skin damage smack-bang in the middle of the month I decided to go for the most inexpensive one I could find in the beauty isle in Spar and I do not regret that decision, not one bit. I also didn’t feel like making the home-made lemon and sugar facial scrub I spoke about in an earlier post because exams were around the corner and considering I had already spent my “procrastination time” wandering around the neighbourhood I decided to just buy something due to lack of time. 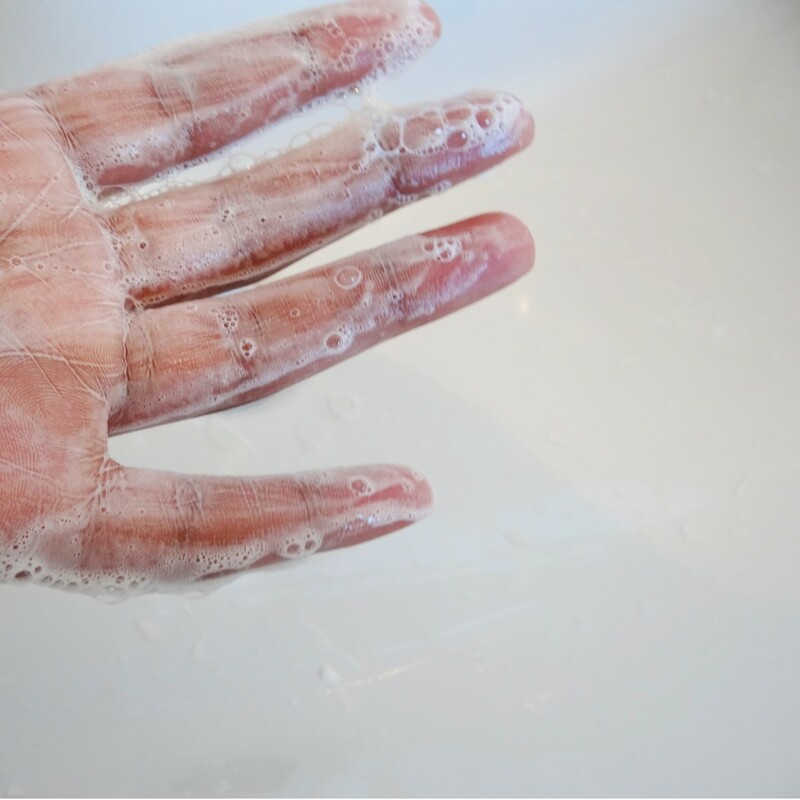 If you’d like to know how to make a Home Made Lemon and Sugar Face Scrub that is sure to change your beauty regime forever, be sure to check it out here. Let me know how that works for you because it does wonders for my skin. The one word that drew me to this foam is definitely the word matte. My skin can sometimes be so oily it’s unbelievable. Sometimes I look like I have enough oil on my skin to fry eggs for a family of four, on a good day! Sigh, the struggle is all too real. But this foam has helped me quite a bit. The 50ml packing comes in handy if you keep all your skin beauty products in a toiletry bag like me. It also makes it ideal to travel with and makes it super convenient to just pop into your bag if you have to rush out the house and aren’t going to be sleeping at your own place. Though it may be super tiny it did manage to last me a whole month even though I used it religiously twice a day. The foam is super foamy and I think this is the reason it managed to last so long. As soon you open the lid the sweet, beautiful smell of lemon zest hits your nose. Listen, if this foam was a type of food it would definitely be at the top of my all time favourites. It smells absolutely divine. If great looking and great smelling skin is what you are looking for then look no further. It smells amazing but it is not at all overpowering either. Definitely the right balance. If smooth, silky, great smelling skin face foam is what you are looking for then again, don’t look any further. This face foam feels like what I imagine Beyonce’s bed sheets would feel like. Heaven. Enough said. 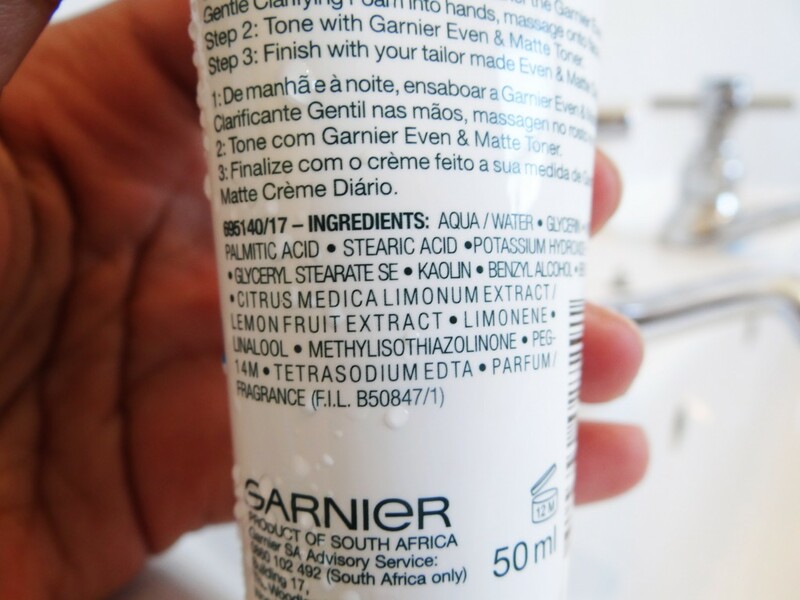 The Garnier foam contains one of my all time skin product ingredient, lemon fruit extracts. Lemon is fantastic for giving you that JLo glow and purifying your skin, though this does a great job at not leaving your skin feeling a little too dry and dull. Lemon is also, as mentioned in my Home Made Lemon and Sugar Face Scrub post is high in vitamin C and also contains antioxidants that are excellent for lightening dark spots and removing blackheads. For R24.99 you are getting more than value for your money with this foam. This is by far the most inexpensive face wash I have even bought or tried out in my life and the results, compared to much higher end beauty products are absolutely fantastic. And considering it lasted me almost an entire month is also quite amazing. Is a review full and comprehensive if it doesn’t include at least one con of a product, I think not. Though I absolutely love and adore this product I will have to say it doesn’t all that long. In terms of making my skin shine and oil free that is. I found that if I didn’t wash my face twice a day then my shine and oily skin would show its true colours. But luckily for me I am a loner and an introvert so my days out and about are very short and limited. I found that I didn’t mind that by the end of my short days my skin would be just a little “back to normal”. 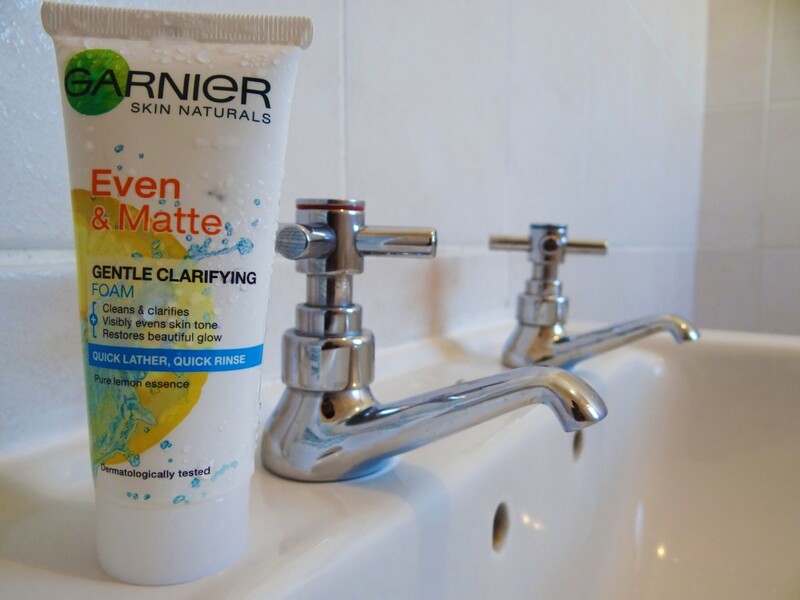 All in all the Garnier Even and Matter Gentle Clarifying Foam is as fantastic as it can get, especially considering the price. If you are looking for an inexpensive product for your skin that will solve your shine and oil problems and smells like heaven all at the same time then this is definitely one to get your hands on. Previous Post PERSONAL STYLE | Shirt Dress.